After your cabinets are installed, my stone or quartz fabricator will make a countertop template. With this countertop template, the Kitchen Gallery can request a "countertop layout" where you see photographs of the countertop you selected in various positions. These images or countertop layouts can be emailed to you. An example of a countertop layout is show below. If my countertop fabricator sees more than one layout option, then they may give you several layout options for you to choose from. In most cases, there is not an extra charge for the digital countertop layouts. If a digital layout isn't available, then you can meet with the fabricator and they can show you the countertop template on your selected slab(s) and move the countertop template around as you see fit. 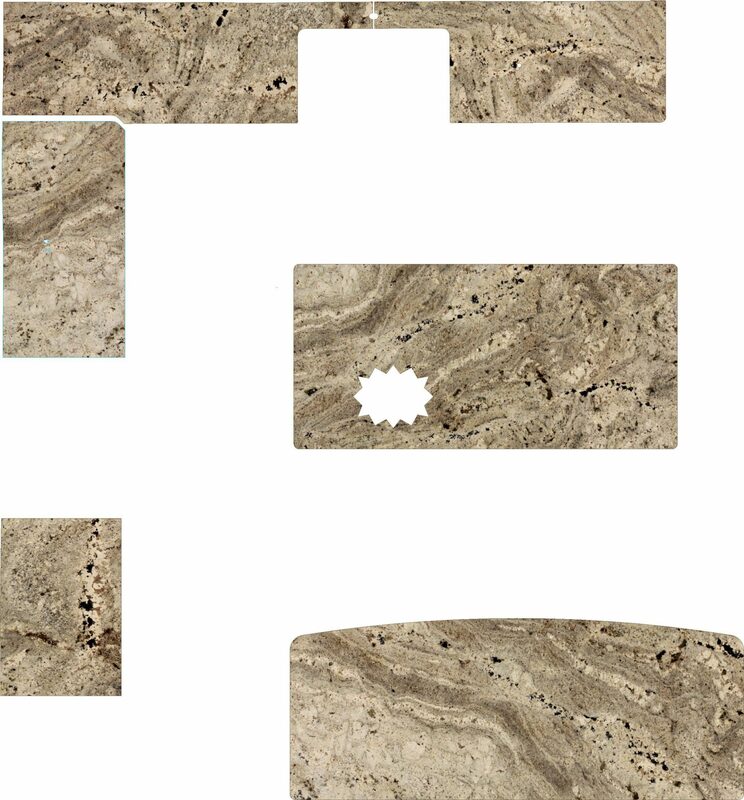 CLICK HERE to enlarge the countertop layout example.